High-Gloss card is printed on 12pt CIS card stock! A unique way to 'Pick-Up' Chicks (or guys if that floats your boat)! at $0.39-$0.99 each (up to 500% plus profit if you desire)! There is no reference to any company on card(s). Customers will not bypass you for reorders!!! Instantly Resets (by turning over) For Years Of Use!!! 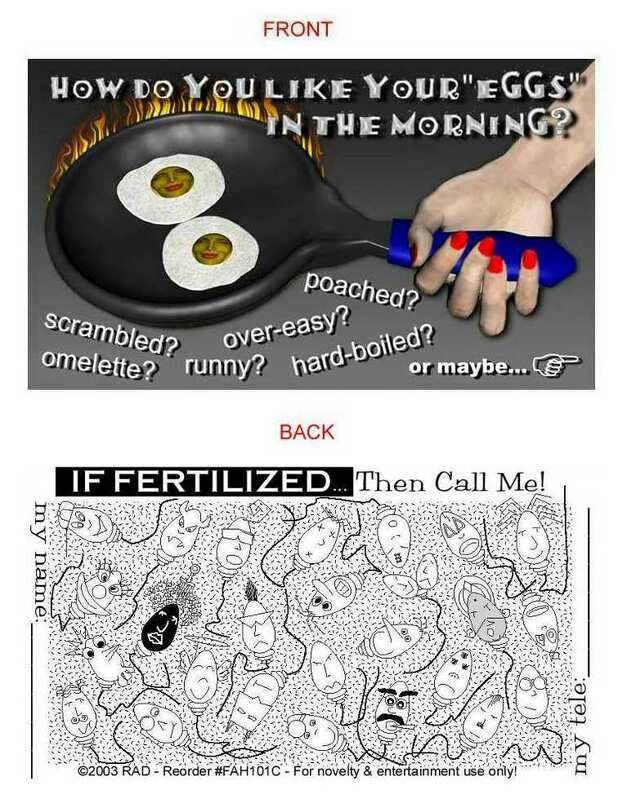 Lasts For Many Years - All Listed Full Color Crazy Isult Gag Cards Can Be Laminated! Laminated Then Use This "Add To Your SHOPPING CART" Button! Use the same item numbers as below but add dash "-L" (ex: #FAH101C-L). 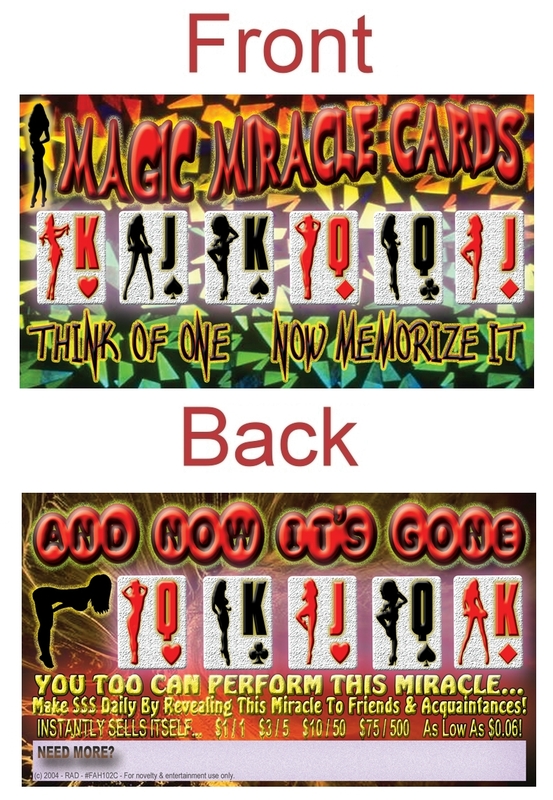 AFTER ADDING TO SHOPPING CART CLICK THE BACK BUTTON TO ADD ADDITIONAL LAMINATED STUPID CARDS! !